People unfamiliar with the political situation in Dominica would be shocked at such a headline. 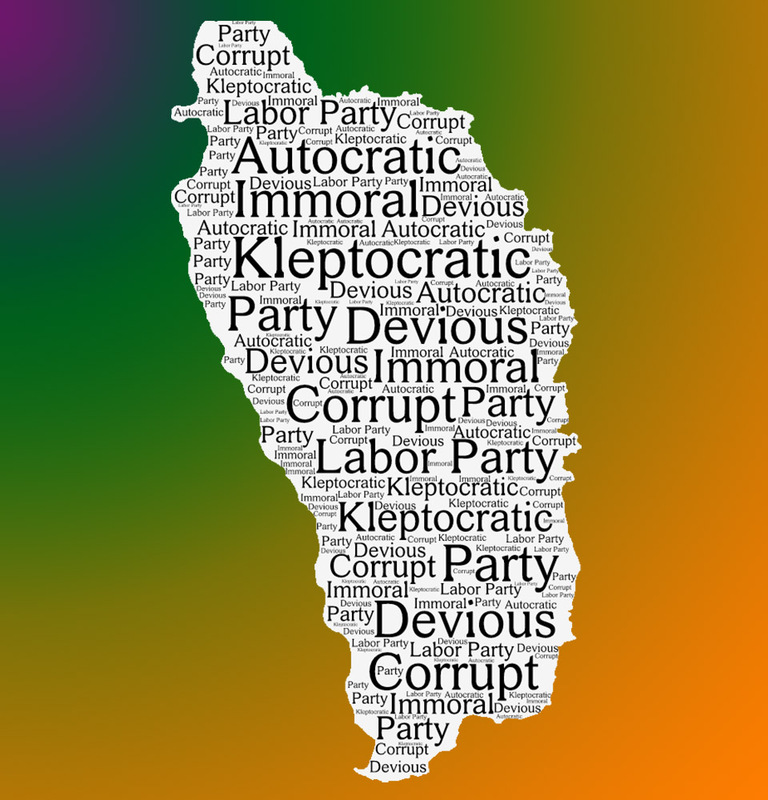 But for those who know the state of affairs in Dominica it would be just another onslaught in the Labor party’s constant attack on democracy in Dominica. political parties in Dominica to pay anyone holding a Dominican passport no matter where they live to come to Dominica to vote. In fact it would be totally legal to pay the travel expenses, hotel, food, even provide pocket change for any voter. But that’s not all. If you did not vote for the party that paid your travel then you would be guilty of a crime. How will that be proven? Does this mean that those voters would be supplied with prefilled ballots? Dominica is in this terrible situation for 2 reasons. 1) The country functions under a parliamentary system of government with no term limits. For example, the ruling party has been in power for almost 18 years and the Prime minister has held this office for the past 15 years. For example in a country with 2 term limits for Prime Minister he would be bound by the Constitution not to run again. So you see can why the parliamentary system in Dominica makes the country vulnerable to despotic and autocratic leaders who want to remain in office for life. The longer those leaders stay in power the more difficult it becomes to get them out. The problem is compounded when you have a narcissistic style leader as explained below. 2) Dominica has a narcissistic style leader surrounded by people with no integrity or courage. That type of leader is the bane of democracy in any country. Those individuals love money and power and the more the better. They have an inflated sense of importance and are deluded that the country would collapse if they were not around because of their unique skills. Those leaders have no empathy and do not experience guilt they are arrogant and contemptuous of the electorate who allow themselves to be so easily exploited. Narcissistic style leaders want to remain in power to feed their oversized ego. They believe that the country’s finances are theirs to do as they please. In other words they are in office to serve themselves not the people. Simply stated, a narcissistic style leader in a Parliamentary system is a toxic mix. Under those circumstances it is easy to see why the ruling party sees no issue in removing any check on nefarious behavior. The party believes that it is entitled to do whatever it has to do to remain in power. 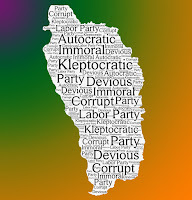 Democracy in Dominica has been insidiously eroded by the present Labor Party and this move to change the Electoral Act is a brazen attempt to remove the people’s right to elect the government of their choice. Therefore, on May 23rd it will be up to civil society in Dominica to tell the ruling Party that any change to the Electoral Act should first be brought to the people of Dominica for review and input before it is taken to the Parliament. The Electoral Act should only be changed to benefit the people of Dominica not the party in power. The Parliament is not there to serve the needs of the Labor Party. The ruling party must to explain to the people of Dominica how the proposed change is going to strengthen the Electoral Act or else they must shelve it.